My First Skincare Detox Week! Not to brag, but I'm one of those girls who rarely had a pimple growing up in high school. Not to say that my skin was perfect, but for the most part, my woes weren't related to whiteheads or giant zits. 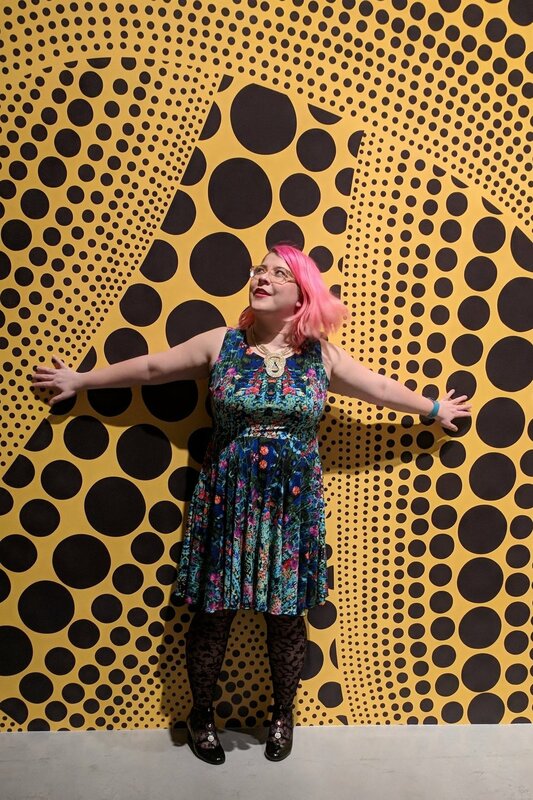 But, of course, this all changed when I got to my mid-twenties. For the past few years I've mostly kept my combination skin at bay with Clinique and Burt's Bees skincare products, subbing in a mask or some other product samples from time to time to shake it up. I've rarely reacted strongly to anything, and my skin has stayed relatively stable. That is, until this winter and the never-ending snowpocalypse. For the uninitiated, many parts of Canada are having an unprecedentedly cold and brutal winter. I honestly can't remember one this consistently bad in a decade. We usually have cold snaps but the weather has been dismal since November with NO REPRIEVE. And my skin is definitely feeling it. It's alternating from dry and flaky, to oily and covered in whiteheads, I was finding a new one every single day! Something had to be done, so I did some research and decided to take a week off of makeup and skin products to re-balance the ph levels in my skin. I was scraping away oil to get rid of the whiteheads and then slathering on moisturizer to combat the weather and it was confusing the heck out of my skin. So here's what I did. EXFOLIATING MASK - The first thing I wanted to do was tackle the terrible blackheads on my nose, and stall any whiteheads coming in to ruin my face. I made a paste of nutmeg and homogenized milk (use MAYBE a tablespoon of milk and then keep adding nutmeg until it's paste-y! ), spread it all over my face and let it sit for 5 minutes. Voila! I gently exfoliated a layer of skin and my blackheads were dramatically reduced. MOISTURIZER - To moisturize, I decided to try natural oils. I selected Apricot Kernal Oil, with drops of Lemongrass essential oil (Both purchased from my local organic store, Aura Cacia brand, about $6-7 each.) It kept my skin soft to the touch, with a nice, envigorating scent. A little bit dabbed on my palm, warmed up in my hand and spread on my skin. It's hard to change your routine, and I had ONE slip up on my week and it was, obviously, on my second day. I used a face cleanser I had in the shower and felt super guilty afterward. So I decided to try something new for daily washing. HONEY WASH - I lightly wet my skin, tie my hair back, and put a tablespoon of raw honey in my hands. After warming it up until it was gooey, I spread it on my face like a mask and kept it on for about five minutes. To remove it, I wet a washcloth with not-quite-hot water and put it on my face for about 30 seconds, wiping away the excess. This was probably my most favourite discovery during the week because I GOT TO EAT SOME HONEY. Who said beauty couldn't be tasty too? TONER - I used Apple Cider Vinegar to tone my skin after honey washing, but always makr sure to dilute it with water. I would take a cotton pad and soak it with water before adding a tiny dash of ACV and quickly swiping it over my face. A few days into my detox, I noticed my skin, which had started to radiate, was getting a bit windburnt from a day that had some particularly long stints outside, so I needed to change it up. COCONUT HONEY WASH - Instead of going with a traditional honey wash, I added a spoonful of coconut oil to the mix, repeating the same steps as the honey wash, and my face thanked me for it! 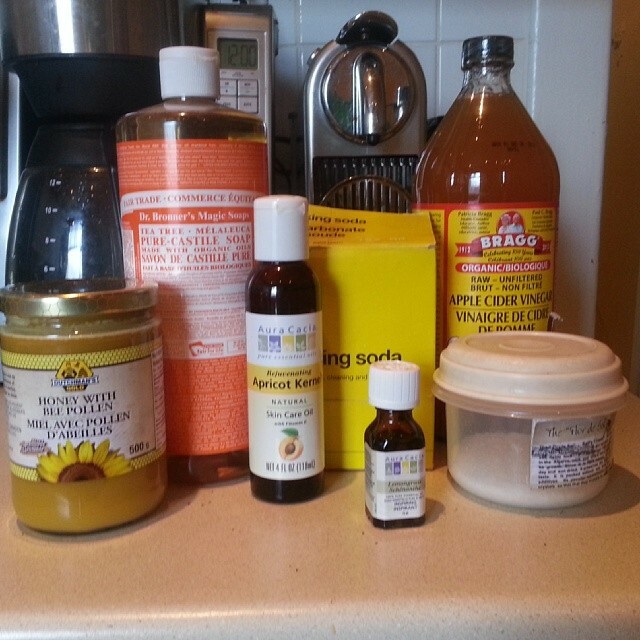 OIL CLEANSING METHOD - During the week I also dabbled with the oil cleansing method. Covering my face with my oil mixture that I'd been using for moisturizer, and then placing a hot cloth on my face for 30 seconds. It's a much faster/easier to clean option than the honey wash if you want to save time. AVOCADO SOUR CREAM MASK - This one sounds a bit gross, but it worked wonders and tasted SOOO GOOD (yeah I finished the bowl) the recipe I followed called for a full avocado but half would've been fine, just make sure it's overripe and brown in places so it mashes nicely, and then mix it with 1/4 cup of sour cream and mush it together. The lactic acid helps with blackheads and exfoliating, and the avocado is soothing. My face tingled for a bit after, but my skin felt tight and amazing later. Throughout the week, I mostly used the honey wash method, with a few attempts at oil cleansing but I preferred my oil as a moisturizer instead. The avocado sour cream mask was my favourite but the nutmeg and milk scrub was slightly more effective (and abrasive). Overall after a week of detoxing, I was really impressed with the results! I'm slowly going back to using some of my beauty products, but I don't know if I'll be buying any masks or face scrubs for quite a long time. I even got my boyfriend to try the nutmeg and milk scrub and he LOVED IT. So that was a big winner. My next idea is to make some homemade sugar scrub and shower fizzies, until then!